Most children love fairy tales – the wonder of other worlds, the idea that wishes might be granted by some form of magic. Little girls, especially, are enamored of the Disney Princesses who found their origins in the fairy tale – Cinderella, Aurora, Snow White, Ariel, Belle, Jasmine, Mulan, Tiana, and now Rapunzel. Of course, Pocahontas is a Disney Princess as well, but hers wasn’t a fairy tale. Hers was the real deal. Many girls, even if they live a happy, normal life, dream of being a fairy-tale princess, swept away from a life of drudgery by a handsome prince. If someone asked who wrote the first fairy tale, many would say the Brothers Grimm. Others would say Hans Christian Andersen. Sadly, many might say Walt Disney and his crew. But the truth goes back further than Jacob and Wilhelm Grimm or Hans Christian Andersen. It even goes back further than Charles Perrault. Story-telling is as old as Adam and Eve. 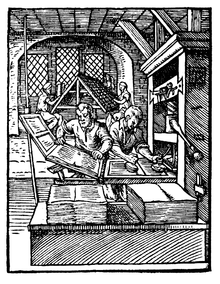 Before the advent of the printing press, storytelling was a way to pass oral histories from generation to generation. It was also a way to charm and entertain the listener. Peasants working in the fields might tell stories to pass the time; families sitting around the fire at night would be entertained by stories their father or mother would tell them. Upper-class nobility enjoyed stories as well. If a tale that originated in one village made its way to other villages, that was considered a point of pride among villagers, so it’s no little wonder that fictional tales evolved with the desire to impress listeners. 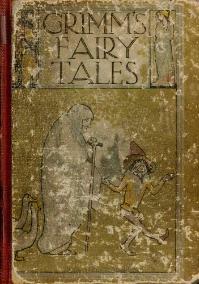 Fairy-tales of old were called magic tales, wonder tales, or wonder folktales at one time. They focused on the disadvantaged hero or heroine who overcame terrible circumstances, often by way of magic. Many featured characters (male or female) who were banished from their homes and villages, characters who were abused, poverty-stricken or cursed in some way. As they were often filled with magic, superstition, and pagan beliefs, magic tales were not Christian-centered. Nor were they directed at or suitable for children, even though children were often part of the listening audience. They were often filled with cruelty and violence, interpreted as warnings to listeners. Priests took it upon themselves to create new versions of the tales, which were then retold and passed down. And still, these tales were not for children. 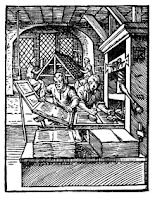 The printing press revolutionized storytelling. The first printed fairy tales were designed to amuse educated readers, who usually were among the upper-class. In France, it became popular to incorporate fairy tales into parlor games held by aristocratic women. Acting them out, retelling and inventing new tales became popular in Paris. Thus, in the 1690s, several writers published entire collections of fairy tales. 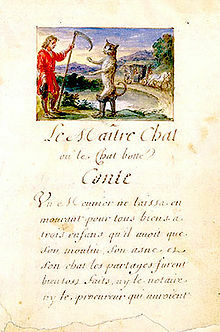 Charles Perrault is perhaps the most famous out of this group of authors, with the 1697 printing of Tales of Times Past, known more familiarly as Tales of Mother Goose. In spite of that commonly known title and conceivably friendly title, these tales still were not aimed at children. 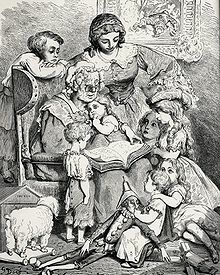 It wasn’t until the end of the eighteenth century that some publishers began to publish stories for children. Still, fairy tales were considered useless, frivolous, and even dangerous for children. In the early nineteenth century, illustrated chapbooks with stories such as Cinderella, Sleeping Beauty, and Jack the Giant Killer were printed. These soon became popular with children even though they were still considered unhealthy for their minds. It wasn’t until writers began to use the stories as a way of teaching moral lessons and good manners, that fairy tales were published for children. The Brothers Grimm revised their own collection of tales, first published in 1812, toning down the adult elements and adding Christian values. Still, they managed to retain the magic and wonder of the original oral tales. Eventually, parents and teachers began to accept that these stories would not damage their children’s mental well-being. When Hans Christian Andersen published his tales, humor and Christian values combined with plot to the delight of young and old. Translations almost immediately spread across Europe and America. From that point on, many writers sought to spin versions suitable for children. Even today, more than three hundred years after the first printed fairy tales, these stories – though often different from the original versions – live in our hearts and imaginations, and serve as a continuous source of influence on books and movie scripts. Do you have a favorite fairy tale? Do you prefer the Disneyfied version, or some other version? Do you enjoy retelling of fairy tales, such as the Melanie Dickerson’s The Healer’s Apprentice and The Merchant’s Daughter? Have you watched the new television show called Once Upon A Time? If so, what do you think of it? Suzie Johnson and her husband are celebrating their 30th wedding anniversary today! Suzie writes inspirational novels, both contemporary and historical, is a member of ACFW, RWA, and is a cancer registrar at her local hospital. She lives with her husband and naughty little cat on an island in the Pacific Northwest, and is the mother of a wonderful young man who makes her proud every day. You can visit her blog, Suzie's Writing Place at http://suzieswritingplace.blogspot.com/. Fairy tales are hot right now, aren't they? But I thought you were going to mention a wedding anniversary. Was I imagining that? Thanks for enlightening us Suzie. By the way I'm pretty sure those childrens rhymes are rather dark as well. I haven't seen either Grimm or the other new series but I am finally reading The Healer's apprentice. Finally! I would have thought that the fairy tales had more of a Christian heritage. So many of them seem to be have elements of Bible stories in them--the poisoned apple, the long-awaited prince. I remember, at a very difficult time in my Christian service--after experiencing some spiritual abuse--being comforted by the thought that "Someday, my Prince will come." Perhaps those elements were added later. Hmmm. But I do enjoy "Once Upon a Time." I'm hooked. Fascinating show and great story telling. Great writing. (Okay, that last episode when they used dynamite to open up a mine to try to rescue the trapped people? Not so much. What were they thinking?) But other than that, loving it. I once had a reader tell me that I couldn't have Robin Hood in Dandelion because it was "written" in the 1400s. Ha ha. It was passed around as oral tradition long before someone captured it on paper. Hey, Deb. No, you weren't imagining it. I mentioned it in my bio. Lol. Yes, no matter how they tried, they still weren't able to totally take the darkness out of them. Not even Disney. I'm sure that's part of the attraction even today, because of the suspense it brings. I remember when my son was little (he'd probably hate me for mentioning this) he was absolutely fascinated with Sleeping Beauty. I remember watching it with him and thinking it was way more scary than I remembered. You'll love The Healer's Apprentice! Hi, Barb. I don't know which elements the priests added when they "Christianized" them. And they also messed with the print versions as they were being translated. So it could be that they added some of those elements that give you the sense of a Christian background. There's a place on-line where you can go and read the first printed version of Grimms' tales. They also have a side-by-side version of their original version vs their rewritten versions. It's been a long time since I visited it, but I'll try to find it and post it later. I love Once Upon a Time, too, but totally agree with that dynamite scene. Very stupid. Good morning, Dina. Can't you just imagine that the story of Robin Hood was one of the more interesting ones as it was being told? I think the men and boys especially loved it. I can imagine it "growing" each time it was retold. Thank you so much, Andrea! Blessings and prayers to you, as well. Happy Anniversary, Suzie! Are you two going out to dinner to celebrate? I LOVE "Once Upon a Time." The dynamite bugged me too, LOL. However, the intensity and affection in Charming's eyes (can't remember his "Maine name") when he looked at Mary Margaret made up for the dynamite boo-boo. I also like Grimm. Totally different, but I like it. The first few episodes were super creepy. Love the post. I enjoy fairy tales, whether they're reinterpretations or Disney-fied or straight out of an old book. Some of the old ones can be a bit scary or sad, though. The little mermaid turns to foam, doesn't she? And the evil queen wants to eat Snow White's heart? Shudder. Hi, Susie. Thank you! Yes, I think we're going to take the ferry and go to dinner in Mukilteo, which is across the water from our south end of the island. I thing Charming's Maine name is Stephen. Yes, I love the way he looked at MM, too. I haven't watched Grimm yet. I think I will catch up on it on Demand when I'm done with school. I love fairy tales, too. 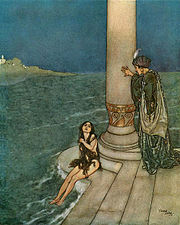 Hans Christian Andersen's version of The Little Mermaid is my favorite, and yes, she turns to sea foam at the end. I can remember as a kid, hiding under the covers with a flashlight and scaring myself silly with Grimms' tales. Oh, I love fairy tales! My favorite is either Beauty and the Beast or Cinderella, probably because they both can be redone in so many ways and still engage and fascinate. I really like retelling because they take something old and familiar and make it new again! My favorite retellings are Ella Enchanted, by Gail Carson Levine and Before Midnight by Cameron Dokey. What a wonderful post on the history of the fairy tale :) I thoroughly enjoyed it. Yes, I enjoy watching Once Upon a Time, as does our whole family. It only took 2 weeks before Nelson got into it, too. Haven't heard of Grimm and if it's super-creepy, not sure I want to. Although Mom owned Fifty Famous Fairy Tales (mine now), I was thrilled when we were forced to read them in our Grade 5 reader. Yay! Hi there, Faye! I love re-tellings, too. I haven't read the two you mentioned. I'll have to look them up. I must say, I love re-tellings so much that I cheated and moved Melanie Dickerson's The Merchant's Daughter to the top of my TBR and I finished it this morning. Oh. My. Excellent! Years ago, Debbie Macomber wrote a series of three books based on fairy tales. I re-purchased them recently on the Nook. Hi, Anita. Thanks, and double thanks! :-) I used to have a beloved book full of fairy tales, but I don't remember the name of it. My mom gave it to one of my relatives, hoping they'd return it when they were done, but the didn't. I just remember it was light blue, very thick like an encyclopedia, and my two favorite stories in it were Lazy Jack and Little One-Eye, Two-Eye and Three-Eye. Well, I think that was the title. I saw a play once based on The Princess and the Pea, and I loved it. By the way, we'll have Melanie Dickerson here sharing about her new fairy tale novel in early January. Oh, yay, Dina! Thanks for letting us know. I can't wait. Oh, I love fairy tales! Sleeping Beauty is my favorite. I named the hero of my first book for Sleeping Beauty's Prince Phillip (Philip in my version). Oh, DeAnna, Prince Phillip... sigh... I'm going to have to move your books up to the top of my TBR! I'll definitely check out "Once Upon a Time." Sounds just my thing. Yeah, Sleeping Beauty (Disney style) did have some influence on my first book. Like when Phillip tells his father he's going to marry a peasant girl instead following the old-fashioned tradition of marrying the princess he's been betrothed to since childhood because ". . . after all, this IS the fourteenth century!" Beowulf could be regarded as a fairy tale, because it existed in Oral tradition long before it was written down and has Trolls and Dragons, well one dragon. There is evidence that that was modified by priests or monks when it was written down in the 10th or 11th century, but as it harks back to a far off Pre-Christian past, even the 6th century setting used in the recient movie versions is likely too late. Dina, as far as I know the first written version of the Robin Hood stories appear in the late 13th and early 14th centuries, but it may well have been oral before that. I actually think this later setting is more correct, and more faithful to the original ballads than the 'traditional' late 12th century, contemporary of Richard the Lionheart Version. My heart is for the archers of old, masters of the longbow!